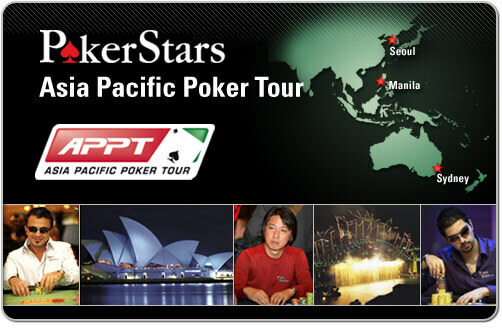 PokerStars has announce the Season 8 schedule of the Asia Pacific Poker Tour (APPT). The 2014 season will kick off with the PokerStars LIVE Macau along with the 20th iteration of the Macau Poker Cup (MPC20) and will take place on January 10th and end in New Zealand with the APPT Auckland on November 19th. APPT President Danny McDonagh had the following to say about the up coming Season 8 and having PokerStars consolidate the entire schedule. Having the entire Asia-Pacific poker calendar, news, and updates in one location is huge. The APPT website becomes much more user friendly and improving the player experience is something we look to enhance each season.